With dreams of building a traditional New England house, the owners of this coastal lawn came to Foster Associates. After many discussions, it became clear that the owner’s love for the water conflicted with their original notions of the house. The traditional house, with its quartered plan, limited views of the water from many rooms. 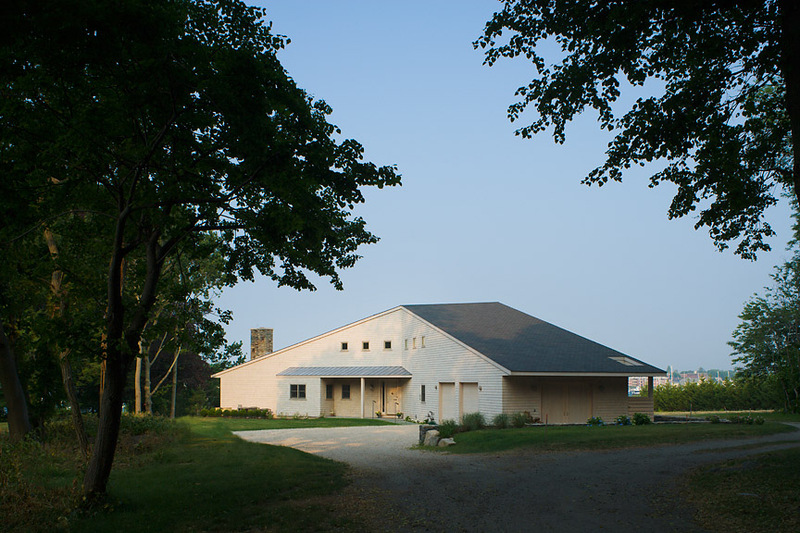 At the request of Foster Associates, the owners engaged a new design process in search of a house with dignity and formal reserve. 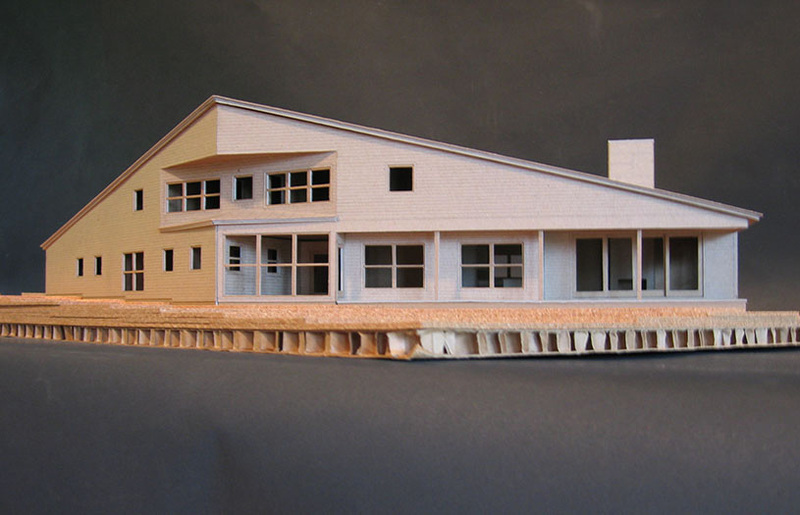 Looking to local history for inspiration, Foster Associates proposed a project akin to the Shingle Style Low House, designed by Mc Kim, Mead, and White in 1887. Once a local icon, the house graced the shores of Bristol Harbor with a sweeping gabled roof and taught shingled skin. In collaboration with the owner, the studio developed this inspiration into a new, formal, harbor-side dwelling. Responding to a long, narrow site, the broad wings of the building turn south, addressing the harbor at an angle. In a shift of function, this house presents its formal façade to the water, a gateway to the adjacent yacht club and marina, while allowing a less formal entry from the rear. Once inside, the spaces proceed with clarity, framing views and gathering breezes sweeping in off the water below. Contractor | Charles E. Millard Inc.